Have you heard that Northumberland has been nominated for a British tourism award? We have been selected as one of the best UK holiday destination's. I fully believe that Northumberland deserves to go on to win this award - after all, we have everything you need for a perfect family holiday. You can read more about the awards and vote for Northumberland here. Every vote counts and it only takes 2 minutes. When the sun shines (and even when it doesn't) there is so much outdoor fun to be had in Northumberland. There are miles upon miles of award winning unspoilt beaches to enjoy and a trip to Northumberland simply must include a walk along the idyllic Bamburgh beach, stopping off by the lighthouse to explore the plunge pools and rock pools. If history is more your thing, a trip to Hadrian's wall has to be on your bucket list. 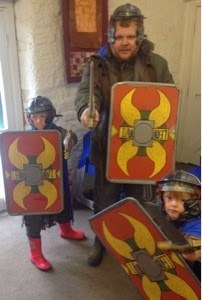 There is lots of hands on fun to be had at The Roman Army museum near Haltwhistle and you can even sign your children up to Roman Army School at Chesters, Housteads or Birdswold Roman Forts (check website for details). Dad might get roped in too! Northumberland is famous for it's castles and rightly so - let your children's imagination run wild at the spectacular ruin of Dunstanburgh castle, pretend they are King and Queen for a day at the glorious Bamburgh Castle. 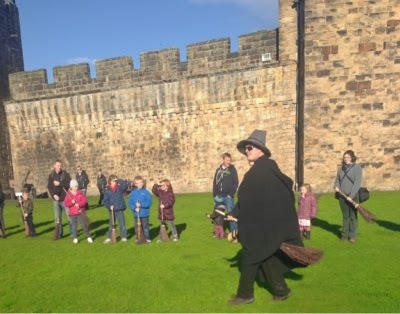 listen to battle stories of years gone by at Warkworth castle and even take part in a broomstick training lesson at Alnwick castle which is where the outdoor scenes of Harry Potter were filmed. If the weather is typically British, there is still oodles of fun to be had indoors. 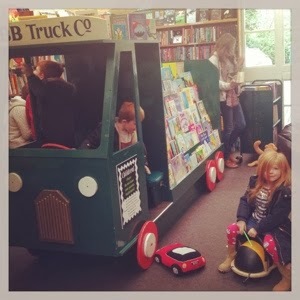 Children and grown ups alike cannot fail to be captivated by the enchanting Barter books. Barter books is one of the UK's largest second hand book stores which features a lovely children's section - books start at only 25p! Everybody will love following the miniature train as it travels around above your heads and then taking their books to the cozy station buffet with it's roaring fire's and homemade cakes. Northumberland also boasts a selection of interesting and specialist museum's - there is the bagpipe museum in Morpeth Chantry, Woodhorn museum near Ashington where our mining heritage is celebrated and even a bee and honey museum in Berwick. Inquisitive children will love exploring Cragside in Rothbury which was the first building in the world to be powered by hydroelectricity. Children can have a go at making their own electricity and there is always lots going on in their extensive grounds and play areas. I cannot talk about Northumberland without mentioning some of the spectacular food we have to offer. 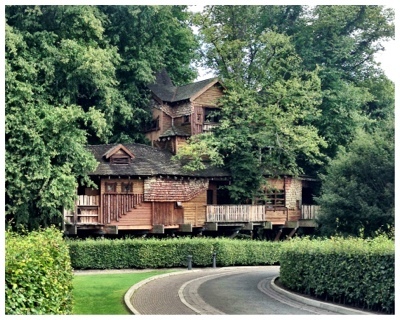 There aren't many places on earth you can dine in a treehouse, enjoy lunch in a bus cafe or take afternoon tea in a castle. There are so many friendly, local and delicious places to eat - it would be impossible to list them all! One of our favourite's is The Running Fox bakery in the small village of Felton - people travel for miles to get their hands on baked goods from this gem of a shop. They'll even give you some bread to feed the ducks if you ask nicely. 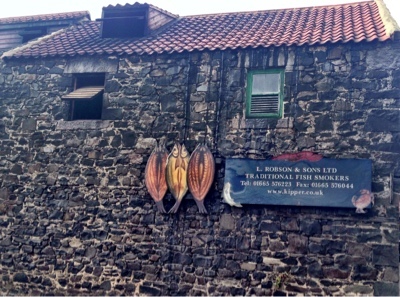 Of course a visit to Northumberland would not be complete without a visit to Craster to get your hands on some of their famous kippers. You can enjoy them in the smokehouse restaurant or take some away direct from the smokehouse to cook yourself later. 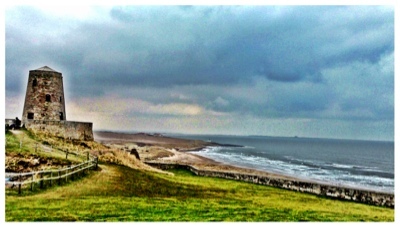 Finally, Northumberland is the best place to visit to get away from the stresses of everyday life. Leave modern technology behind and enjoy some quality time with your family. Marvel at the largest dark skies in Europe at Kielder Water and Forest Park. It is wonderful to get away from it all and spend a few hours admiring the beauty of our skies. 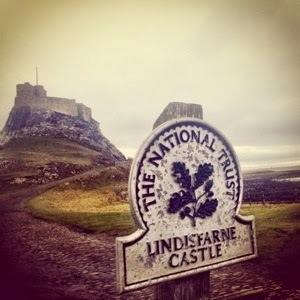 Or, for a truly magical experience visit Holy island. The island is cut off from the mainland twice per day and you really do feel like you are on your own little adventure when you visit and explore everything the island has to offer. I am sure you will agree, Northumberland really does deserve to win the title of 'Best UK Holiday Destination'. There really is something for everyone come rain or shine. Please don't forget to vote Northumberland and help us win. This post is written in collaboration with Visit Northumberland. As always I write from my heart and I am proud to promote Northumberland - it really is a fantastic place to visit.